My blog focuses on personal experiences that I feel or have felt within my illness and disability, in order to give other sufferers and non sufferers an insight into this kind of life. It's also to potentially look back upon in a few years time and realise what I have learned, if I have progressed and to just remind myself of all of the topics I have spoken about, if they reoccur in my life. As much as I firmly believe in highlighting and revisiting the difficult, emotional and tough aspects that many of us find hard to speak of within illness and disability, it doesn't mean my overall aim is to reach positivity within my situation. In the most non cliché way possible, everyday can feel like a survival when you live with a chronic illness. Whether that be against your body, your mindset or against your current circumstances. Like I always say, this process has always and will always continue to teach me a lot along the way, which I am grateful for, come rain or shine. Now I'm not the best candidate for someone who accepts or grasps positivity easily, so this isn't a preaching post by any means. Had you asked me two years ago to try and remain positive and optimistic in my situation, steam probably would have come out of my ears. I despised the words, it lacked any kind of meaning to me. On an incredibly bad day, the more someone might tell me to be positive about my situation, the more confused, angry or rebellious I feel at times. Comments like such can sometimes get my back up when I feel little meaning towards positivity, I often feel like expressing how they should try living like this and get back to me. At the end of the day, I know deep down that those delivering that comment are only trying to keep my spirits up. Allowing my circumstances to make me feel incredibly negative is only really going to hurt me on a personal and self critical level. I take a lot of convincing to often think positive about my own situations, or even look past and overcome negativity on a consistent level, but through gradual understanding of my circumstances, both personal and professional in chronic illness I have started to readjust my views. I am notorious and so critical in myself for sometimes allowing my pain to make me think in a negative mindset. Like anyone in these circumstances, sometimes it is inevitable to stop yourself from feeling down, whilst coping with pain. My thought process can often implode and spirals to create and imagine the worst circumstances and life possible for my future in disability. Why I allow myself to get to that place, I don't know but it does happen. It seems so silly and irrational in hindsight. It's even more alarming that chronic pain can often cause an individual to feel such despair. For possibly a year now, I have been trying to adapt my attitude towards living and coping with a long term, chronic illness. I believe that is potentially going to be one of my most beneficial tools in living with a long term, incurable illness. Once I started to realise that the most beneficial tool I had was my mind, I started to really adjust my doubts against the concept of positivity. It seemed like a case of the best things in life are free, my mind being one of those. Only I had the power to use this tool and only I, could change my general outlook on the situations, thrown my way. Within this mindset, I have my faults and weaknesses, my strengths and triumphs and also some setbacks. I personally see this process as a full circle. Every time I get back to the start, the circle slightly gets smaller by a few millimetres and I start the process again. I can have the worst couple of days and then slowly start to find my feet again. Sometimes these better mindset days can last for a day or half longer than before too. I try to sit with the collected thoughts or mood I am feeling, understand why I am potentially feeling this way and attempt to accept it for what it is, hour to hour. Sometimes, we confuse pushing away our problems with positivity. There can be some days you will be consumed by negativity because of your reality with illness and that is fine. It's not a nice feeling but we shouldn't harshly punish ourselves for feeling this way. Typically, that 'baggage' that we feel we are carrying will possibly always be around within our circumstances in illness. I am not somebody who remains happy and uplifted with ease. However, I think that would be a different story if I was healthy. I get low more frequent than I am high. I am tough on myself more than I give myself praise. I am human and quite frankly, do not go around with a smile plastered on my face with a happy go lucky attitude aiming to be inspiring or upbeat. I think very few of us do. We are not robots programmed to remain consistent with lack of growth, change or elements to build upon our character. We all have our worries, stresses and concerns. Strangely, when it comes to others I am a cheerleader in positive thinking. Realistically, I should probably take some of my own advice at times, but we can often be our own worst enemies. I re analyse and revisit a lot of my own struggles within illness to help raise awareness. I think it is incredibly important to continue to make others aware of all that comes when faced with the adversity of illness or disability, at any age. Yet I also want to move forward and I hope I can move forward eventually, whilst putting this mindset into practise on a daily basis. There are still many areas within my life where I still momentously lack in positivity and optimism. Like anyone, I hope to be proven wrong in the near future but some days I convince myself otherwise. These are days where I find it hard to locate hope, faith and convince myself that they just can't exist. We are all guilty of these feelings. Some people have positivity set in motion from a young age, whereas others are advocates in believing that it is the best way to live life and force themselves to practice positivity daily. Everyone deals with their outlook on a range or scheme of things, differently. People take on different methods constantly and some are willing to be more open minded and change their thinking habits. For some, these can be hopes of their outlook of life maybe looking better in a couple of days. It's whatever suits the individual. Then there's the pessimists and optimist viewpoint. Ideally, we would all benefit from have a more optimistic viewpoint of difficult situations in life, yet the chances are, we fall into the pessimist category within circumstances we find discouraging. There are so many attributes that overall can effect taking steps towards a positive mindset. 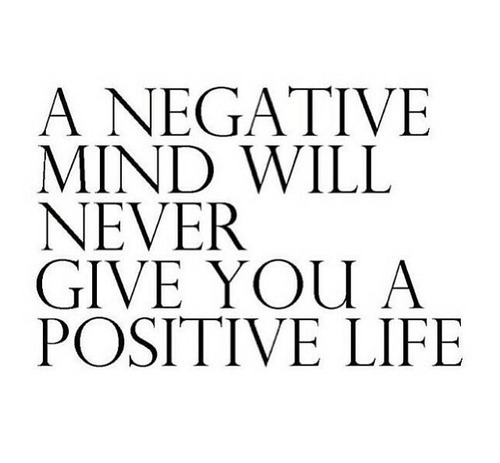 Remaining in a negative mindset can stem from so many things, including anxiety, worrying, stress and depression. It's a given that feelings of anxiety, depression or nerves are never going to be completely resolved just by having a positive mindset, but it can become a beneficial tool to help you get through the lower moments that have the possibility to arise within your situation. Do I find it hard to find a positive in situations to do with my chronic illnesses and disability? Incredibly! Am I aware that for my own sake, I need to keep attempting this practise of thought and positive attitude? Absolutely! I think that when an illness is confirmed to be long term, you have to look towards your mentality in how you are going to cope. You can just give up, or you can try to accept the circumstances for what they are and battle through each day in the best way you can. It has become a necessity to focus on at least one aspect of positivity during my day to often get me through. On my good and bad days, whatever I feel I can't handle, perspective in any situation I face, rational thinking and any small aspect of hope within positivity is what I try to cling to and switch my focus towards. It is not always easy, yet it gets me through the day. I had to really stop and identify my thinking habits, therefore realising just how negative I was constantly allowing myself to become through my illness. The more negative I think, the more depressed I am about my reality. These negatives arises in issues such as doubting myself before I had even tried, thinking directly of the bad rather than the good, believing something was unattainable and predicting the worse outcome of any situation. I have always been an over thinker, achiever, worrier and analyser. This can therefore make my anxiety and million times worse than what originated the positive concept towards a promising change, in the first place. It's a draining process and it makes a day feel more than miserable, pointless, unfair and bleak when faced with a disabling illness. You only have to ask your parent, guardian or loved one how desperate they are to help you, to ease your pain and desperate for you to try any remedy, outlet or possibility of improving your health. Unfortunately, not all of these outlets of seeking help are successful. Some are short lived and others take no effect at all. I have been chronically ill for many years and my mum has spent an absolute fortune picking up help outlets, such as self help books to hypnotherapy CDs, anything to just try to help me get in a stronger mindset to cope with a life long condition, which I am so grateful for. However, sometimes it just boils down to finding the strength within yourself. My older cousin has fibromyalgia, and even throughout her years of diagnosis, I would be puzzled by how on earth she could still be so positive,optimistic and calm despite her obstacles within her chronic illness. My cousin to me is so brave and so beautiful within her pain, I have learnt so much from her and I am grateful we have each other to share a similar journey with. The positivity and vibe she presented to me may have possibly been a huge front on her behalf, but over time, it has made me take a leaf out of her book. At 17, I wasn't in the right head space to appreciate what she was telling me. My prejudgement of positivity was that I would never understand the concept of it within my circumstances, it didn't feel attainable and it never made sense to me. I had no self belief that it was a possible destination to reach in illness and disability. Everything felt like an incredible negative attribute to my life and one big headache. My cousin would buy me positivity books and tell me to keep my mind strong and I felt like she was sadly, in a losing battle with me. I appreciated her time, I just had no idea where she was coming from. I isolated myself even more, I locked myself away and I just grieved every day for the entire process of what my life had become. I struggled, I felt like I drowned within my life and I pushed the concept of positivity as far away as I could. I didn't notice it instantly but something in the last year, just clicked. Now, I wouldn't say I've become a positive thinker through and through. I don't think anyone can truly live a day without having at least one negative thought. And quite frankly, we are all going to have a bad day once in a while. However, I now try to see a situation from one or two positive points of view. Sometimes, I cant find anything positive in the moment, but on analysis I can usually find something about the situation once it has passed. I waited an incredibly long time to grasp an understanding on positivity. Just to even give me more of an understanding of the concept and how I can take it forward to deal with my current situations in life. There can be days where you feel like you are breaking and other days where you just feel the smallest ounce of stability. A positive mindset becomes a choice that has to be made entirely by you. To get through each day, hour and possibly minute. I'm not saying that I won't slip into old mindsets at certain points of the week, month or year. Some days, I ironically become the very appropriate, Negative Nancy! Dealing with a chronic illness for such a long time is starting to show me a difference in my mentality, it's eye opening how you can adapt a different attitude towards difficult circumstances. I often feel it has somewhat changed me as a person, not in my illness not in my pain levels, but in my approach of overwhelming issues within life with incurable illness. I have my down days but now I also have my better days where I have a stronger mindset to help me cope. Which in itself, is an achievement I never thought would breakthrough for me. It's a place I don't want to push to reach in a hurry, but I will make sure that eventually, I find a ratio where positivity is more common than negativity. There may be times where you feel this mantra has the potential to backfire, like anything in life, but I feel it will be personally better to try than to not. I think the concept of positivity has grown on me the more I accept that my illness and disability will be a long term issue to deal with. I truly admire people who keep a positive attitude within terrible situations. It's obviously not an easy task, but they prove it is possible with a bit of self belief. Regardless of how I feel, whether that be incredibly low or clearer in my thoughts, I try with all of my might to seek perspective everyday. I have a daily battle of acknowledging that for every negative I may feel or think of, I must try to balance it out with a positive in order to gain a better perspective and clearer mindset. I realise why I am lucky compared to some, I acknowledge the thoughts that we are quick to forget (roof over my head, clothes, bed) and I think of how much worse my disability could potentially be. Realistically, I should probably start to quietly emphasise my positive days. Whether that be by noting it down on a calendar or just within myself, in order to realise it is a good progress, potentially a more frequent mindset and a step in the right direction in dealing with long term illness. *DISCLAIMER* - The above is a collection of my own thoughts on how I personally think I can learn to live with a positive mindset. This is not professional advice nor is it suitable for everyone. It's just an expression on my own behalf.